Chris Jacobs is joining Josh Gates’ team for Discovery Channel’s “Expedition Unknown: Egypt Live,” TheWrap has learned exclusively. Bring a flashlight, Chris. Also added to the squad, we’re told, is Egyptologist Ramy Romany, who has dedicated his entire career to uncovering rare artifacts using the latest technology. The team also consists of Egyptologist Dr. Zahi Hawass, and Mostafa Waziri, the secretary-general of the Supreme Council of Antiquities of Egypt. Jacobs has a long history with Discovery live events, serving as the digital host during Nik Wallenda’s tightrope walk over the Grand Canyon in “Skywire Live” and Chicago’s “Skyscraper Live.” Jacobs has also hosted “Discovery Live: Into the Blue Hole,” “Chopper Live,” “Gold Rush Live” and the live broadcast of the Barrett-Jackson Auto Auction for Velocity (now MotorTrend). 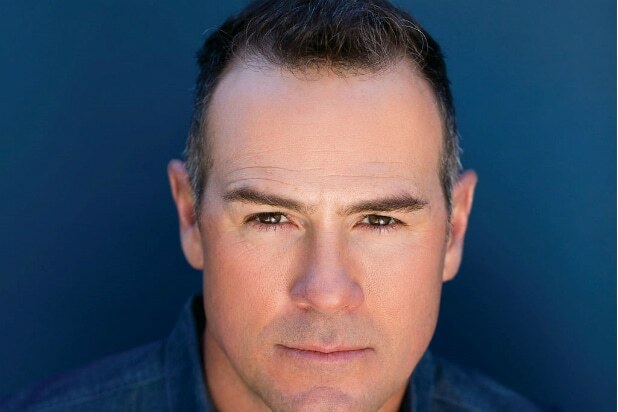 In addition, he is the regular host of TLC’s “Long Lost Family” and serves as host of the popular automotive makeover show “Overhaulin'” on MotorTrend. On April 7’s “Egypt Live,” which airs live coast-to-coast starting at 9/8c (so, 6 p.m. PT), viewers will see the inner chambers of an excavation site, where archeologists recently uncovered a network of vertical shafts leading to an underground network of tunnels and tombs with 40 mummies believed to be part of the noble elite. The massive underground complex of chambers is a treasure trove of antiquities — all laying undisturbed for thousands of years. But there are several chambers yet to be explored — and many more discoveries to be revealed, including a mysterious limestone sarcophagus found buried deep within the complex, per Discovery’s logline. The identity of the mummy inside has been a mystery for 3,000 years… Possibly until now. “Egypt Live,” which will be simulcast on Science Channel and Travel Channel, is produced for Discovery Channel by Discovery Studios and Ping Pong Productions in association with Big Dreams Entertainment. For Big Dreams Entertainment, Leslie Greif is executive producer. For Discovery Studios, Sandy Varo Jarrell, Peter Isacksen and Jason Sklaver serve as executive producers. For Ping Pong Productions, Gates, Brad Kuhlman and Casey Brumels are executive producers. For Discovery Channel, Howard Swartz is executive producer. The April 7 live special will (kind of) serve as the kick off for the new season of “Expedition Unknown.” The regular season of Gates’ exploration and adventure series starts April 10 at 9/8c on Discovery Channel.